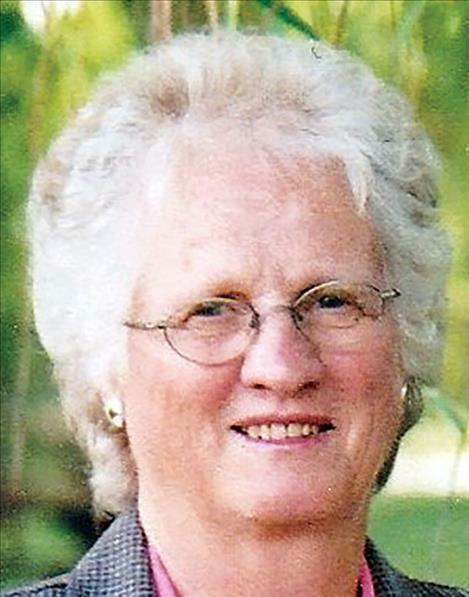 ST. IGNATIUS — Charlotte Lanphere Priddy passed away Jan. 28, 2019. She was born May 18, 1938, to Inez Kathman Lanphere and Harry Lanphere of Jordan, Montana. When she was oneyear- old her father passed away due to complications from scarlet fever. She was preceded in death by her father, Harry Lanphere; her mother, Inez King; and her half-brothers, Ray Thomas and Dale Thomas. She is survived by her husband, Ed Priddy; her children, Jeff Priddy of Helena and kids: Elly Priddy, Jaley Priddy, and Jenna Priddy; Charlene Priddy of Clancy and kids: Serena Long and Jesse Long; Sheila Young (Mark) of Charlo and kids: Brandon Pope, Kinley Pope, Kail Pope and Katelyn Young. Services will be held on Saturday, Feb. 9, graveside (at her request), at Pleasant View Cemetery in St. Ignatius at 11 a.m. for family and friends that want to brave the winter weather. Everyone is welcome to join us for a gathering at noon at the St. Ignatius Senior Center to celebrate mom’s life. A luncheon will be served. Messages of condolences may be shared with the family online at: www. shriderthompson.com. Arrangements are under the care of Shrider-Thompson Funeral Home.